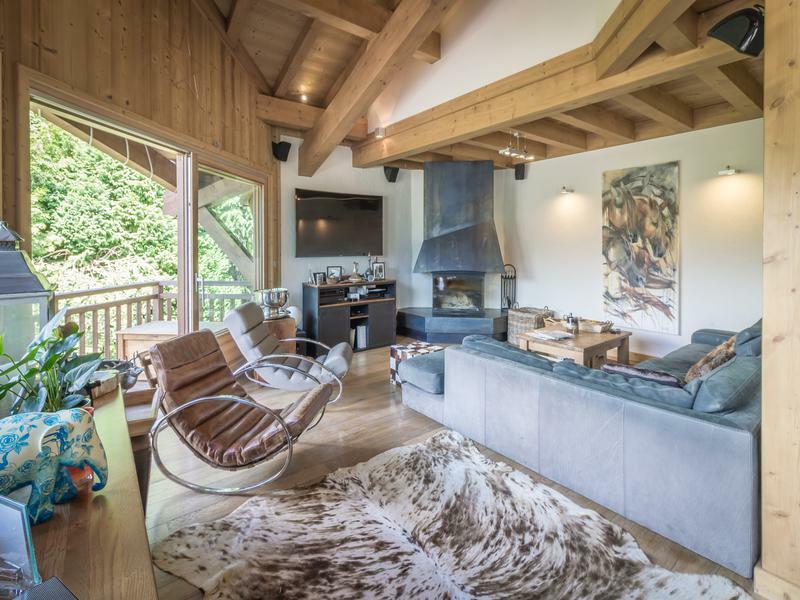 Morzine – Outstanding, luxury, 5 bedroom chalet for sale in Morzine - Uninterrupted south facing mountain views over the Morzine ski slopes of Pleney, superb entertaining spaces inside and out. 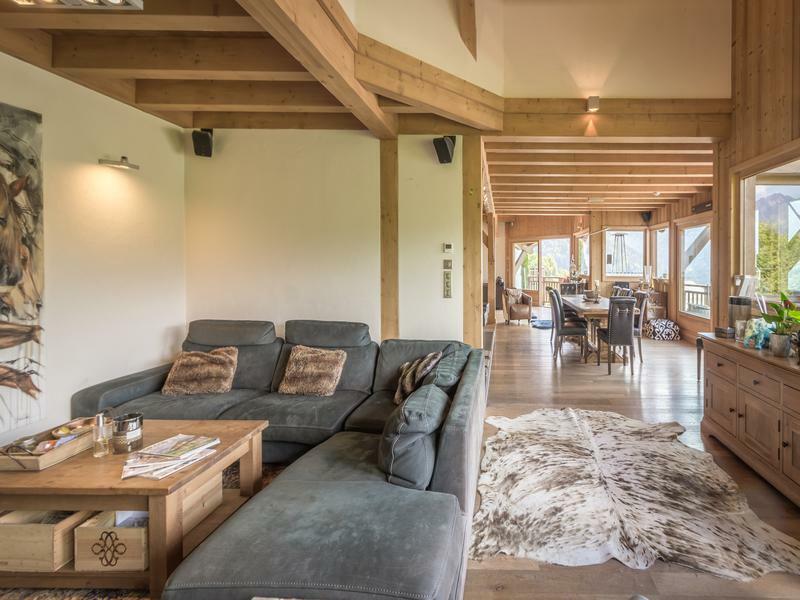 This stunning chalet for sale in Morzine was built to a very high specification by a renowned Morzine developer in 2011. 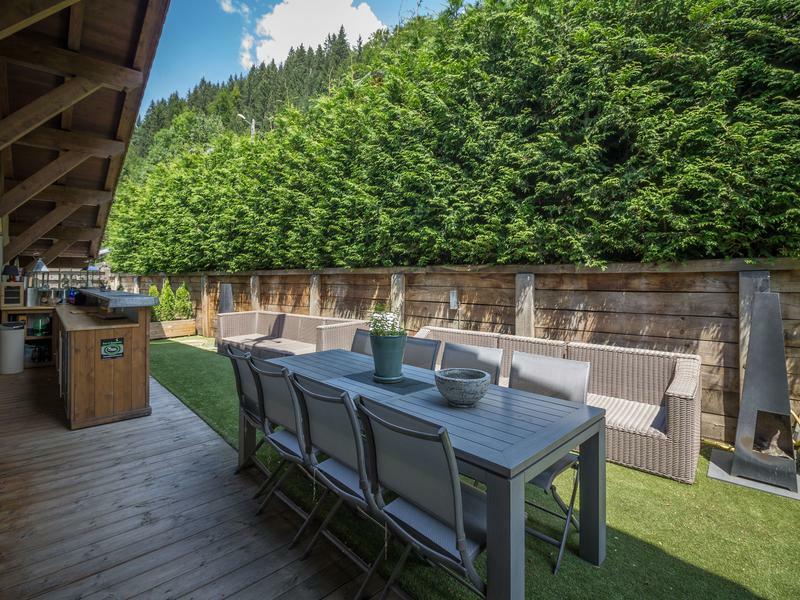 It makes the most of dominant south facing views of the Morzine ski slopes from nearly every room and the many terraces that are perfect for entertaining. Set over 4 levels, a lift transports you directly from the car to the front door. 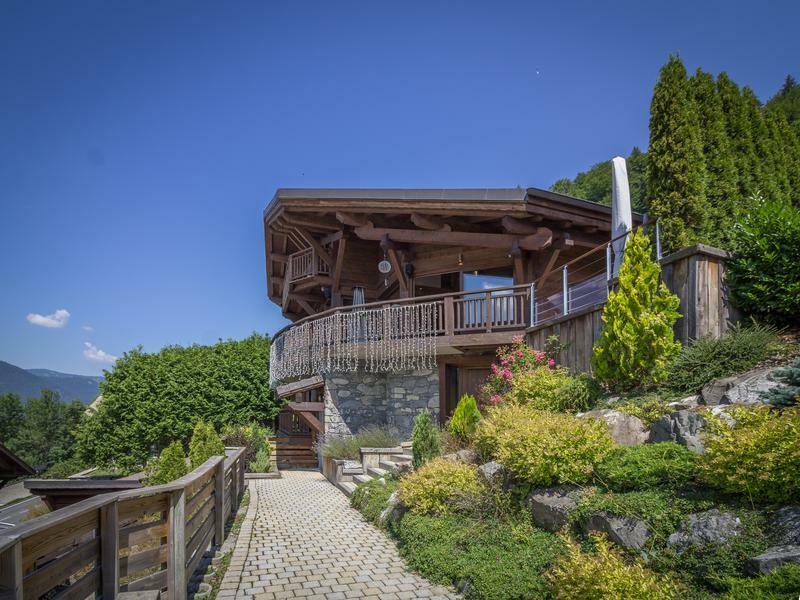 With 5 bedrooms and 5 bathrooms including a master suite, plus an entire floor of open plan living and entertainment space with panoramic views, this chalet has the wow factor in abundance from the moment you step through the front door. 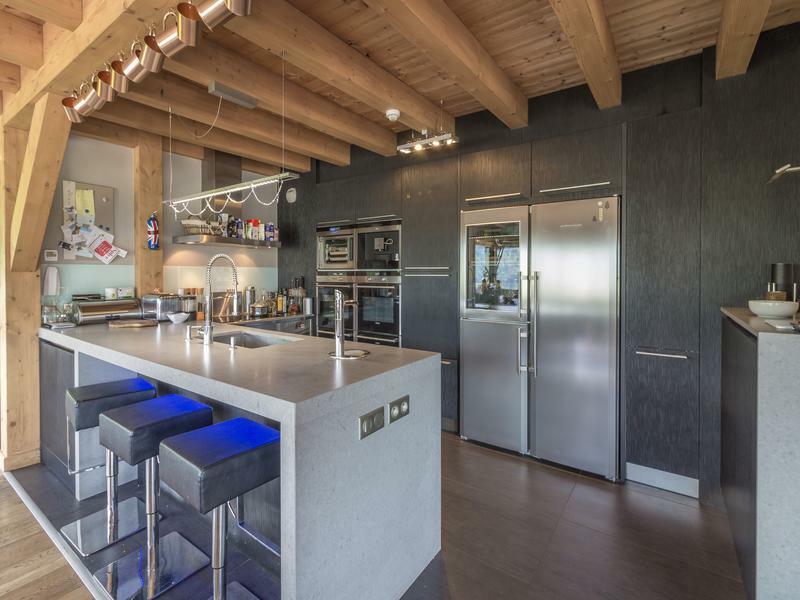 As you would expect from such an exceptional property, a sauna, Jacuzzi, glass fronted, wine cellar, luxury lighting, an integrated sound system, and landscaping add those exclusive touches. 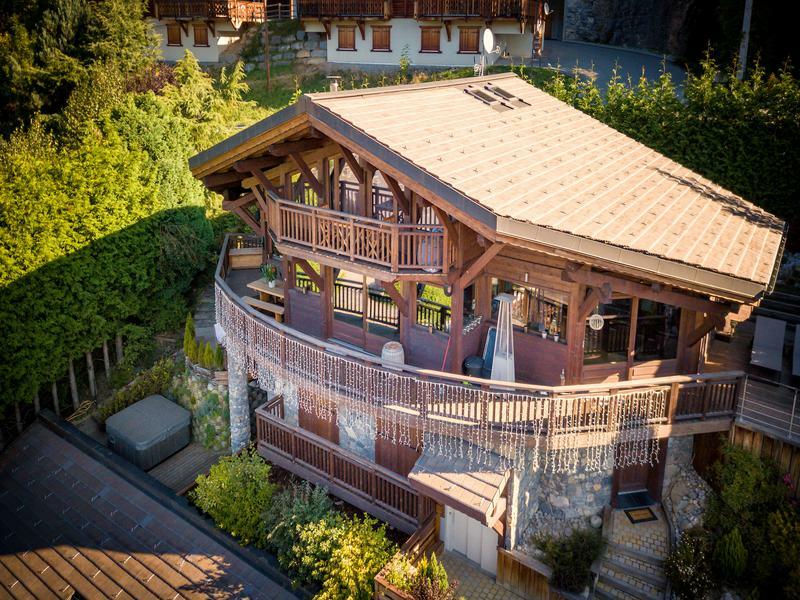 The centre of Morzine is only just over 1km and it’s a short walk to the free ski bus. Entry into a spacious hallway with built-in cupboards to the right for coats and boots, and a cloakroom for further storage and a ski boot rack. Greeting you on arrival is also an impressive temperature and humidity controlled glass-fronted wine cellar with lighting perfect for servicing après-ski entertaining. There is a separate WC with sink, and a corridor leading to sleeping accommodation. Located here are four double bedrooms, two of which are en-suite, plus a family bathroom and a separate WC. 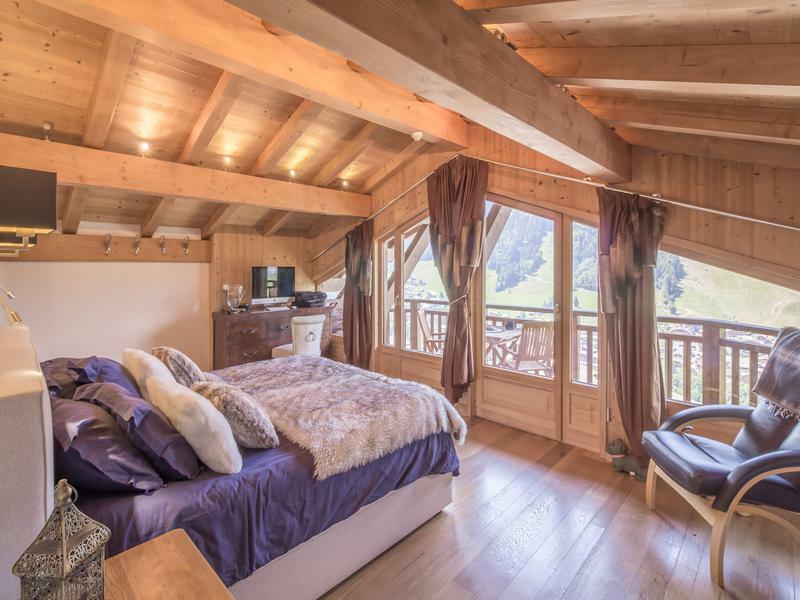 Two of the bedrooms share a balcony facing the Morzine ski slopes, with a third bedroom enjoying it’s own private terrace and the same panoramic views. 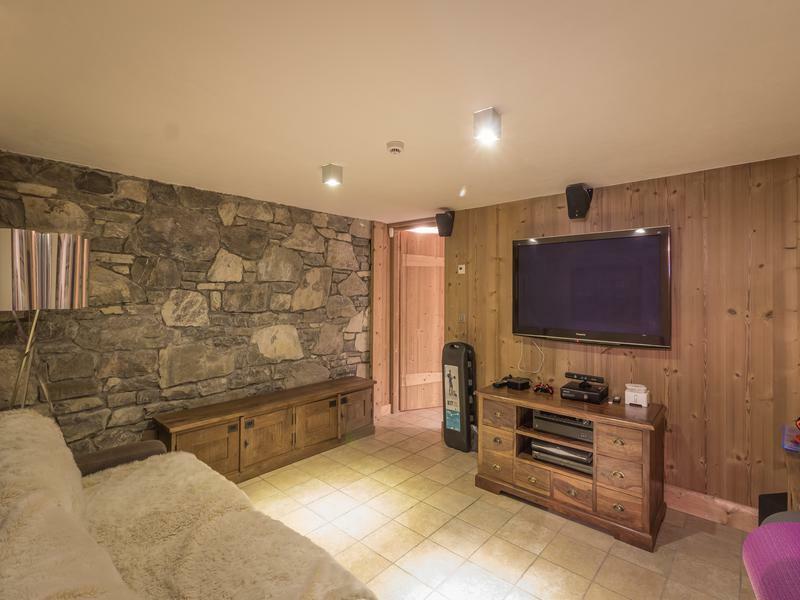 From the entrance hallway are stairs leading down to a laundry room, a sauna and shower room, exterior access to the Jacuzzi on the terrace, plus a room currently being used as a TV/ games room. 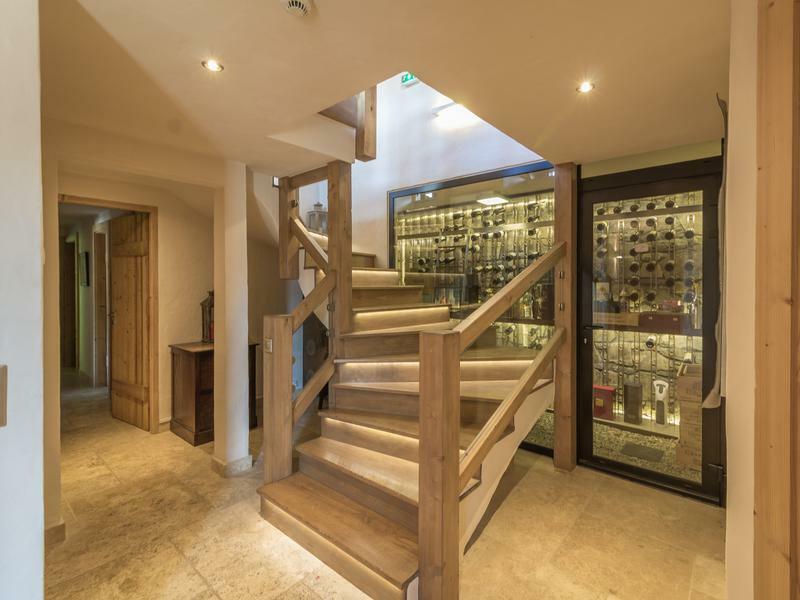 Back up to the entrance hallway, a staircase leads up to the stunning living and entertainment space on the first floor with vaulted ceilings and 3 sets of double sliding French doors out to a wraparound terrace and garden. The views over Morzine and the Pleney ski slopes take your breath away, and can be enjoyed whether you are sitting in front of the fireplace in one of two reception areas, or at the bar in the open plan kitchen with high end integrated units and appliances (2 SIEMENS ovens and a grill, SIEMENS coffee machine, SIEMENS dishwasher, LIEBHER wine chiller and refrigerator and freezer), or in the spacious dining area with plenty of seating for a large group and for entertaining. Stairs lead from the first floor living area to the second floor where the master suite takes up the entire floor in the eaves. 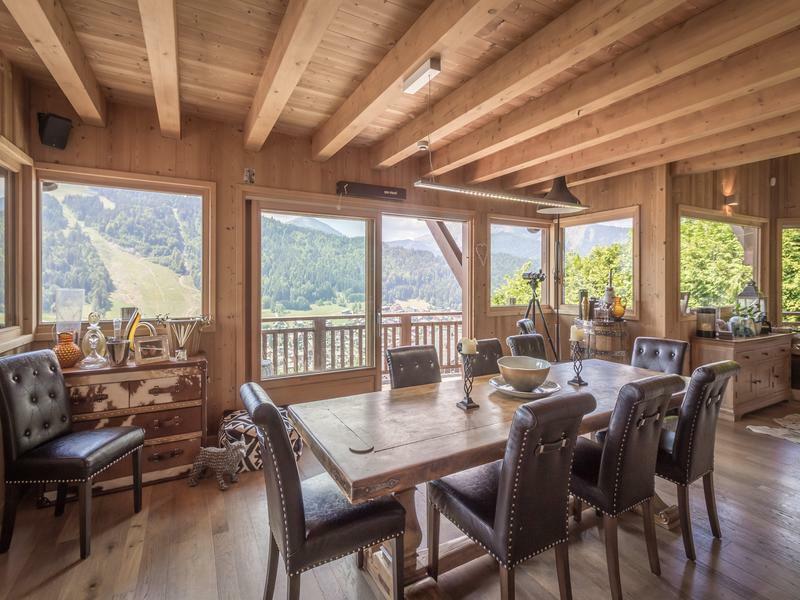 Floor to ceiling glass makes the most of the same superb views over Morzine and the ski slopes to which you awake every morning, with doors to a balcony where you can sit outside and enjoy breakfast. To the rear, a corridor leads to a dressing area with built-in cupboards and the master bathroom with a bath, walk-in shower, sink unit, WC and two skylights.